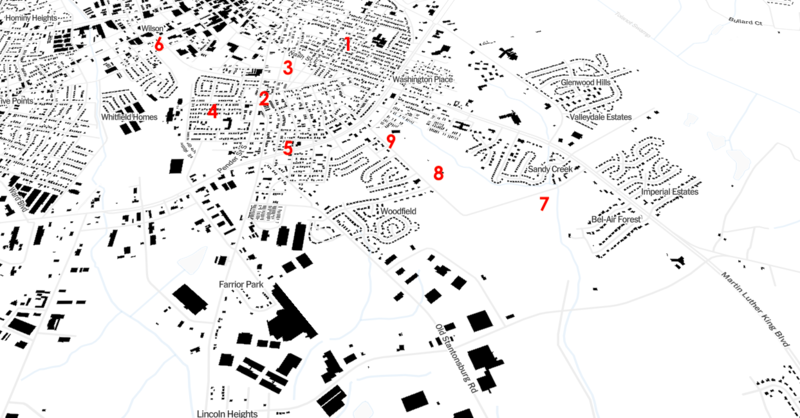 A map of every building. 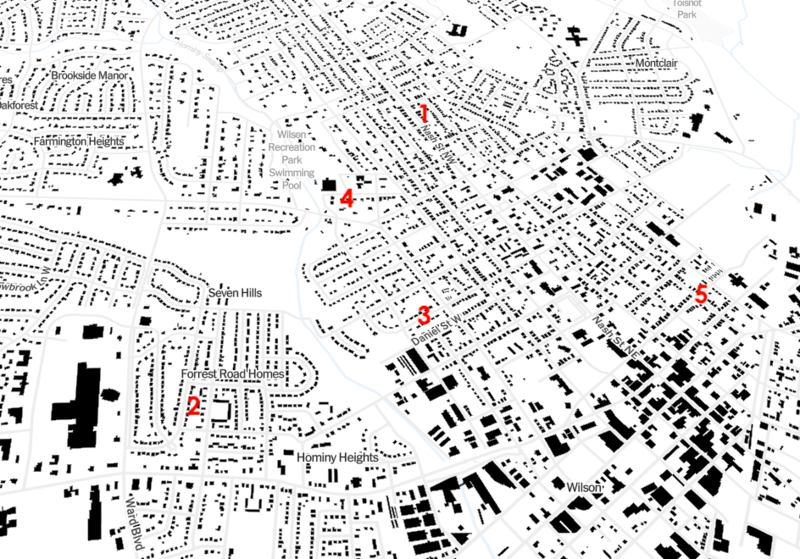 Detail of the near-northwestern section of the city, with these historical African-American neighborhoods highlighted: (1) Grabneck; (2) New Grabneck; (3) Daniel Hill; (4) Finch’s Mill Road; (5) Lee and Pine Streets. Sunshine Alley lay in the shadow of Liggett & Meyers’ tobacco warehouse and within a block of Smith’s, Planter’s Warehouse, Banner, Monk-Adams, Farmers and Watson Warehouses. 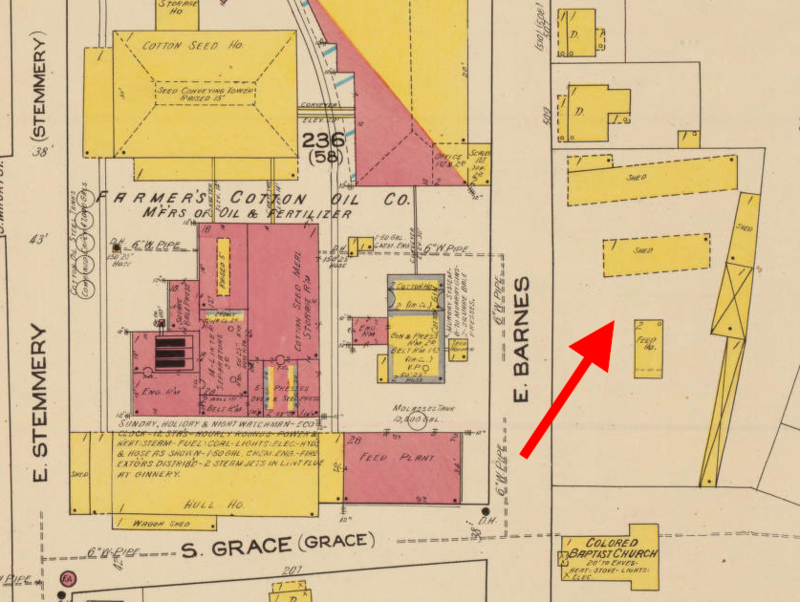 As shown in the 1922 Sanborn fire insurance map of Wilson, the western end of the alley was a slot off Goldsboro Street in the block otherwise bounded by Hines, South Mercer and East Jones Streets. The eastern end formed a dogleg dividing the block bounded by Goldsboro, Hines, Spring and Jones Streets. Sunshine Alley is long gone, but its path is easily followed in the driveway of the Family Dollar store at Hines and Goldsboro, the driveway of Barrett’s Printing House (the white-roofed structure below standing with the former footprint of Smith & Leggett) and the cut-through that continues past Barrett’s to Douglas Street (formerly Spring). Only a block long, Walnut Alley ran parallel to South Spring (Douglas) and South Lodge Streets between East Walnut and East Banks Streets. 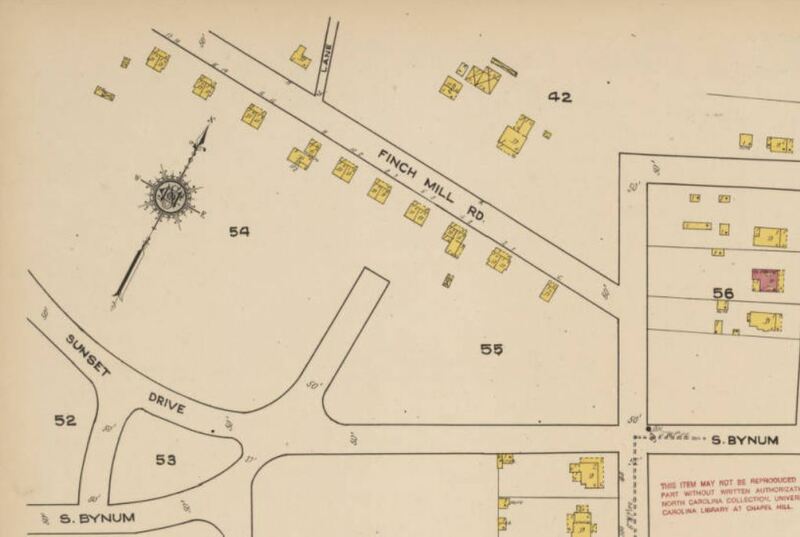 The 1922 Sanborn fire insurance map depicts a small “colored church” on Spring. That church is now Saint Rose Church of Christ, and the alley is Walnut Lane. Current maps courtesy of Google Maps. Wilson needs a lot of good colored homes now. Suggs Heights appears to comprise part or all the D.C. Suggs properties platted in the early 1920s. 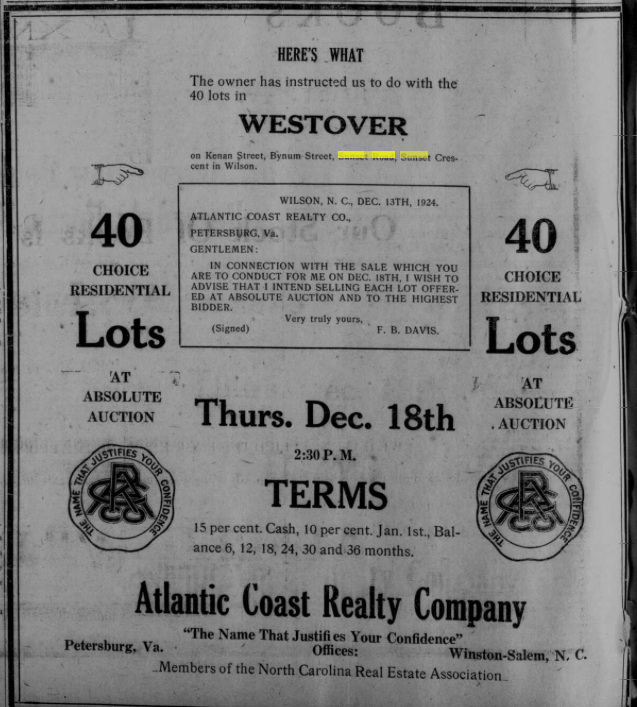 “Ask any man who has property to rent what kind pays the most on the investment and he will tell you colored property.” [Likely because one could readily overcharge.] 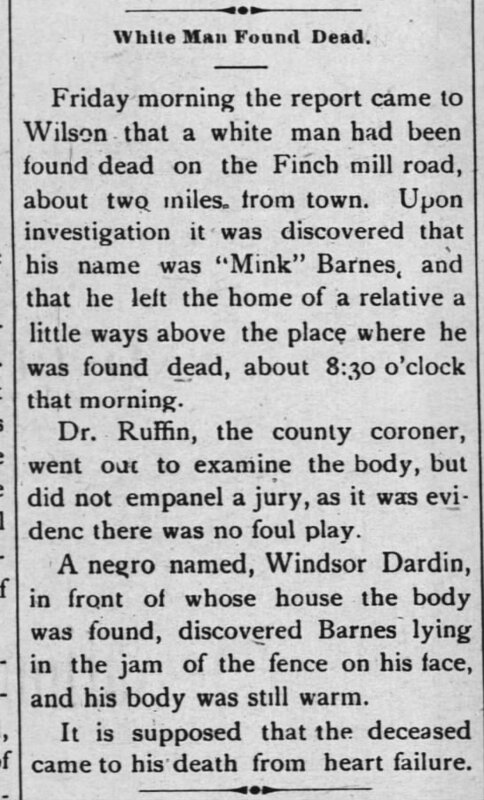 Wilson Daily Times, 11 December 1925. Stantonsburg Heights may be the area platted as Vicksburg Manor. 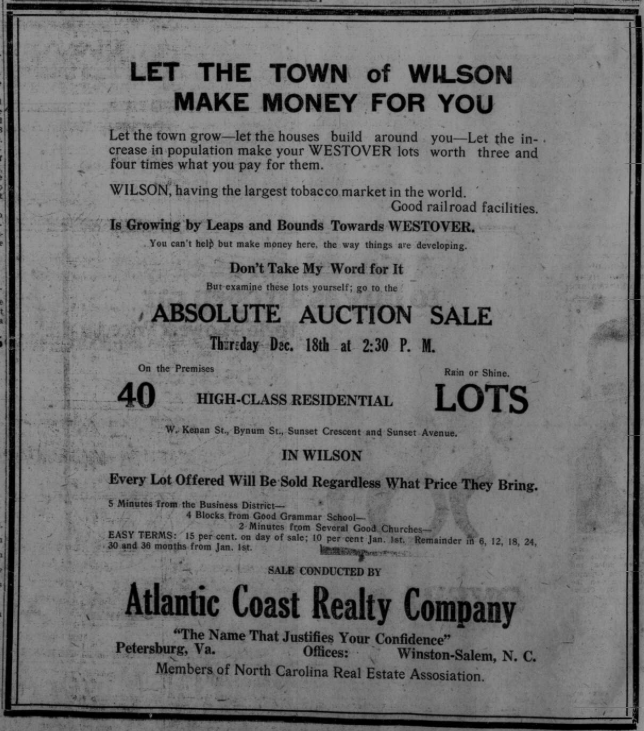 “This high class colored development will build up in good homes and gardens.” Wilson Daily Times, 8 May 1945. Daniel Hill — Living community northwest of downtown, between Hines, Walnut, Warren Streets and Park Avenue. Most of original housing stock cleared in Warren Street Urban Renewal Area Project of the mid-1960s. The neighborhood’s grid also somewhat altered by the closing of certain streets and removal of alleys during project. 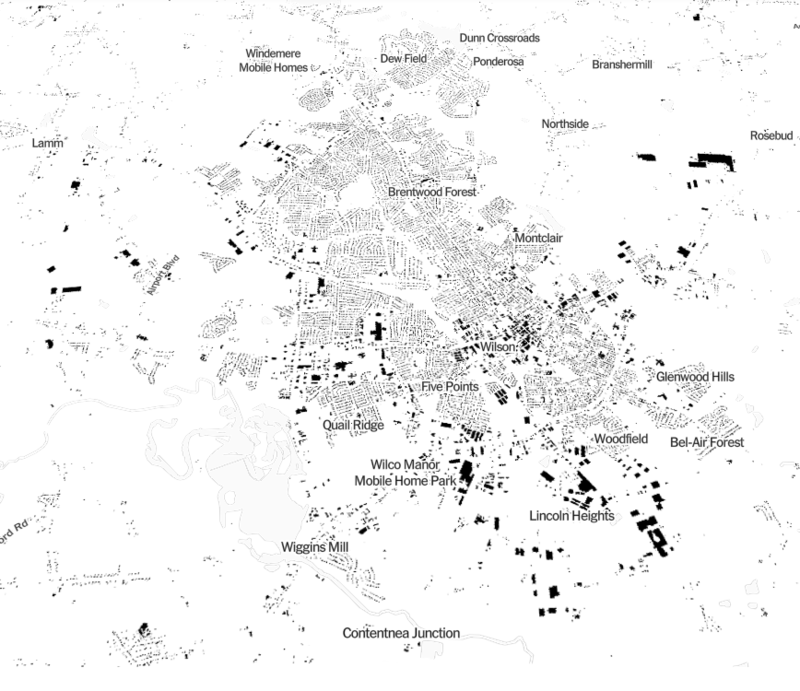 Population augmented by residents pushed out of other neighborhoods, including Grabneck and New Grabneck. 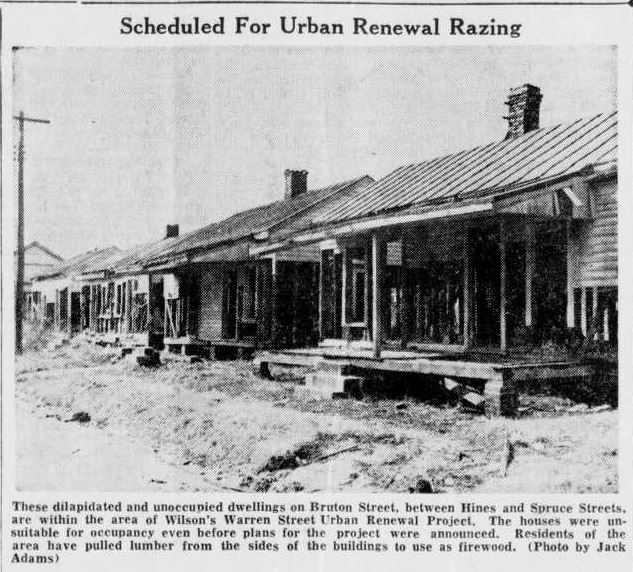 “Delay on New Housing Measure May Snag Urban Renewal Plans,” Wilson Daily Times, 29 February 1964. Vacated Daniel Hill Area, “Urban Renewal Voted Top Wilson Story During 1964,” Wilson Daily Times, 2 January 1965. 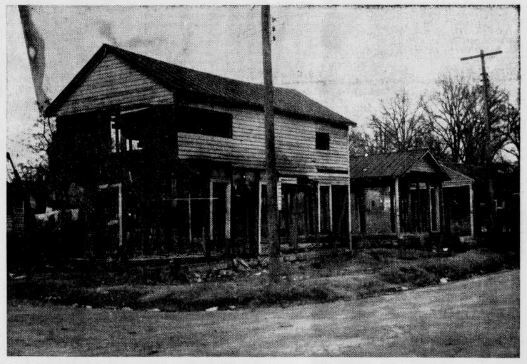 Grabneck — Former community located along West Nash Street for several blocks north of Cone Street from late 19th century to early 1920s. Centered around land belonging to the Orrin Best family. 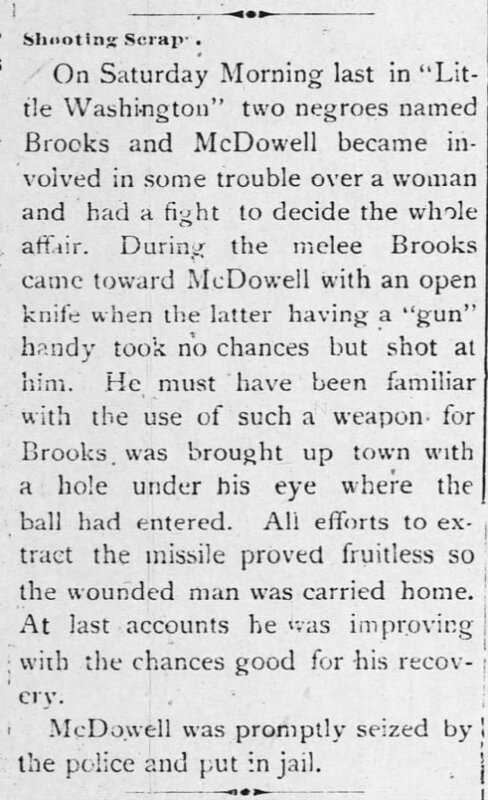 Excerpt from “He Misses ‘Grab Neck’ Most of All,” Wilson Daily Times, 28 October 1938. Happy Hill — Area around South Lodge Street, south of Hines Street. Little Richmond — Mill village erected by Richmond Maury Tobacco Company in the vicinity of its stemmery at Railroad and Stemmery Streets. Developed in mid-1890s. Area ceased to be known by the name perhaps as early as World War I. 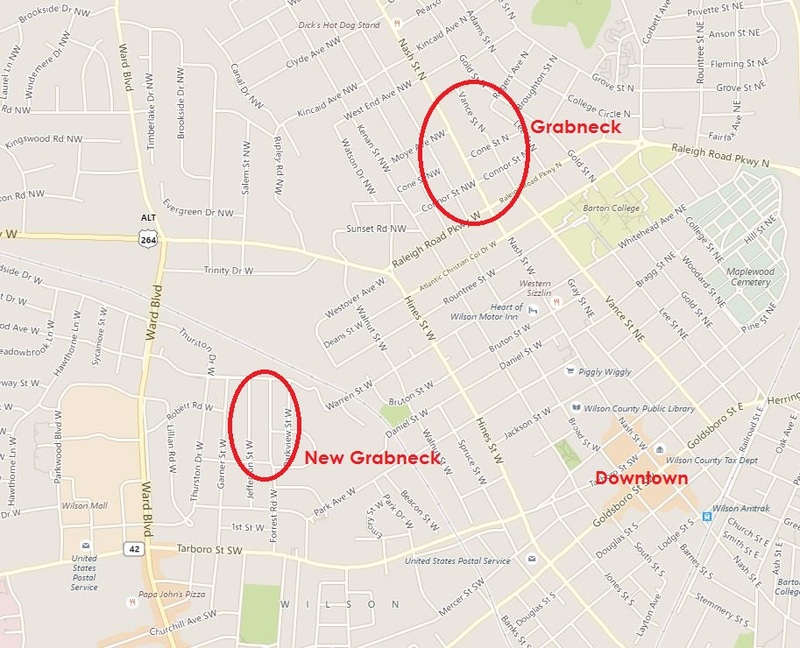 New Grabneck — Community formed by relocated Grabneck residents, west of downtown and just above Tarboro Street on what are now Jefferson Street and Forrest Road. 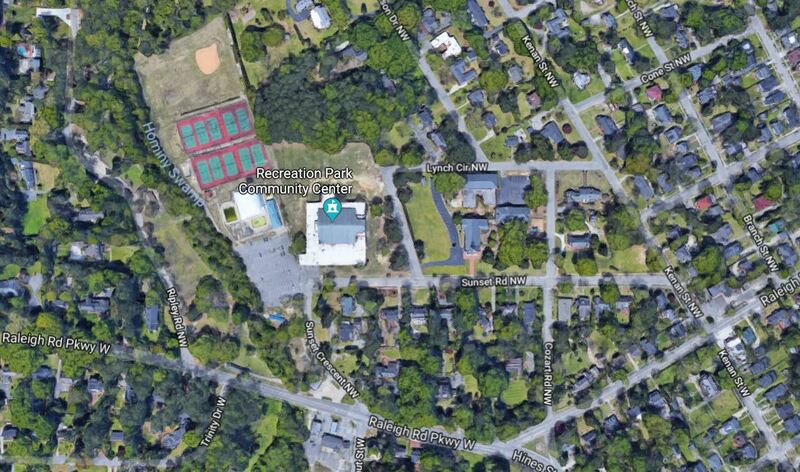 African-American residents pushed out in the 1960s to make way for white public housing development at Starmount Circle. The Schoolyard — Area around the Wilson Colored Graded School, later known as Sallie Barbour School. South of downtown along present-day Black Creek Road near intersection with Pender Street. 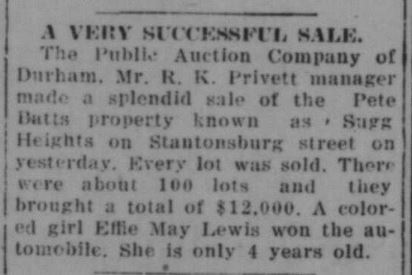 Stantonsburg Heights — Real estate designation for an area south of the Colored Graded School, probably the same area as Vicksburg Manor. Suggs Heights — A subdivision south of downtown, probably along the western side of Stantonsburg Street. Primarily a real estate designation rather than a name used by residents. Toad Town — perhaps an African-American community, perhaps northwest of the town of Wilson. “Short Viola” — Former section of Viola Street west from Pender Street. Now an unpaved alley running alongside 307 North Pender and through to Hackney Street. 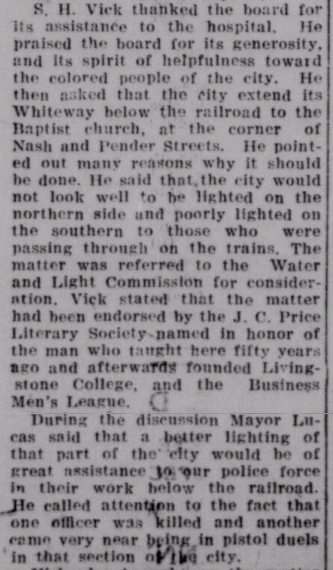 “Short Carolina” — Former informal continuation of Carolina Street across East and Narroway Streets to Ashe. Closed off when Carolina was paved in the 1970s. 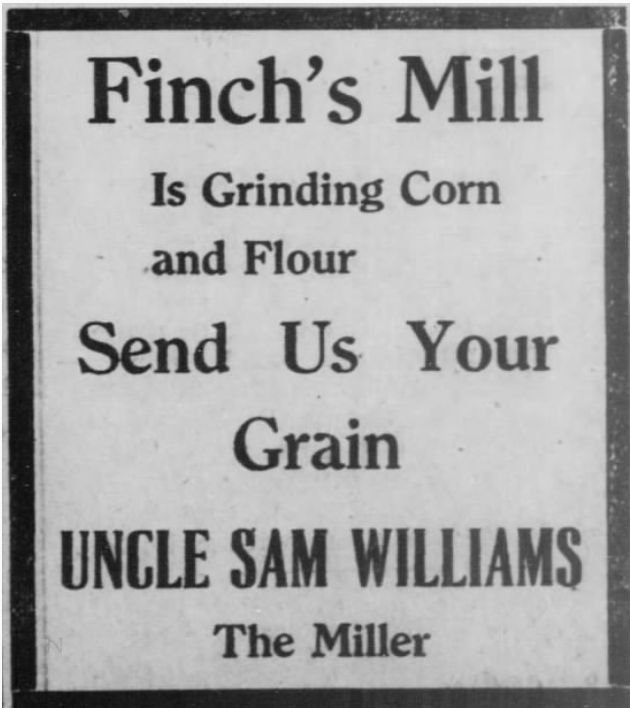 By the mid-1920s, Grabneck was gone. A mile and a half away, however, New Grabneck emerged in a clutch of unpaved streets on the far side of Hominy Swamp, a tributary of Contentnea Creek that wends its way, generally unobtrusively, across south Wilson. 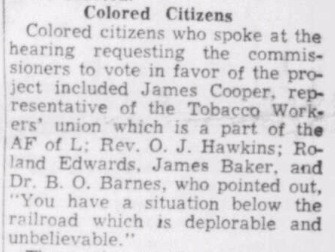 Per the 1930 Wilson city directory, all of the residents of this new settlement were African-American. Hill’s Wilson, N.C., City Directory (1930). 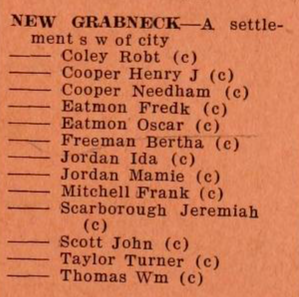 Several of New Grabneck’s residents, including Bertha Best Freeman, Ida Jordan, Jeremiah Scarborough and Frank Mitchell, had lived in Grabneck. Was this coincidence, or were Grabneck’s people deliberately resettled on vacant property on another edge of town? New Grabneck was short-lived. 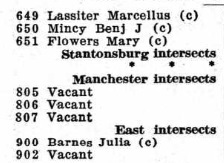 As noted in this recollection by Marjorie Fulcher Stewart (a Best descendant), the area was cleared about 1960 in an urban renewal project that created moderate-income and public housing for whites. Locations of former Grabneck and New Grabneck communities today. Map courtesy of Bing.com. Air raid district map in private collection of Lisa Y. Henderson. “The Atlantic Coastline Railroad tracks separated a black and a white world almost. And then there was Hines Street that wasn’t a connector in those days, but just a street. And there was Daniel Hill, where colored people lived. Then there were six houses between Lee and Gold Streets close to the city lot where black people lived. And Mercer Street in Five Points was all black. 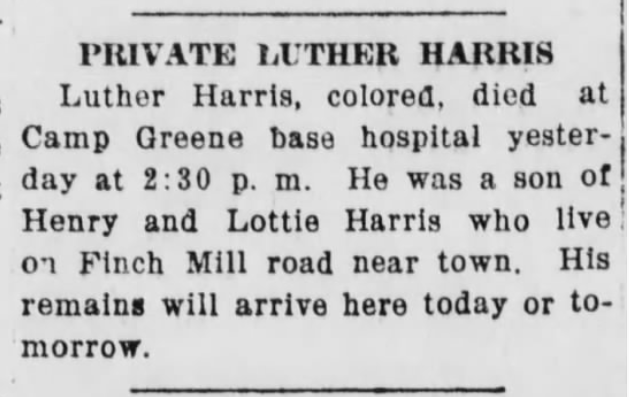 There were two ice companies near the railroad tracks and one area was called ‘Happy Hills’ where a few blacks lived. ‘Green Hill’ near the other ice company was a white neighborhood. Except for the above-mentioned, I don’t know of one black family that lived beyond the tracks. But I’m not saying there might not have been a few isolated cases. But Daniel Hill was where 99 percent of the black population lived anywhere on the west side of Wilson.” — Roy Taylor, My City, My Home (1991). I’ve been unable to locate this street. 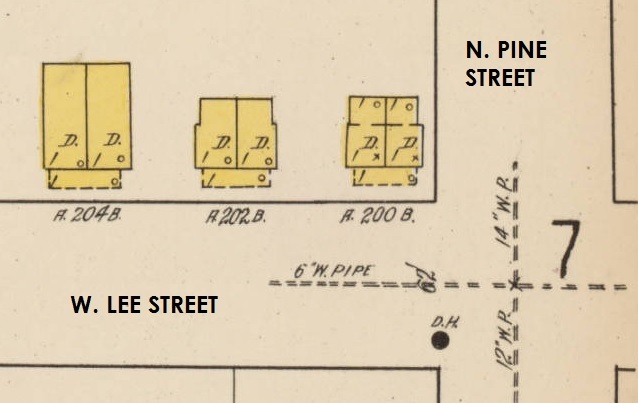 An earlier post explored the small African-American settlement that coalesced around Lee and Pine Streets by the turn of the twentieth century. 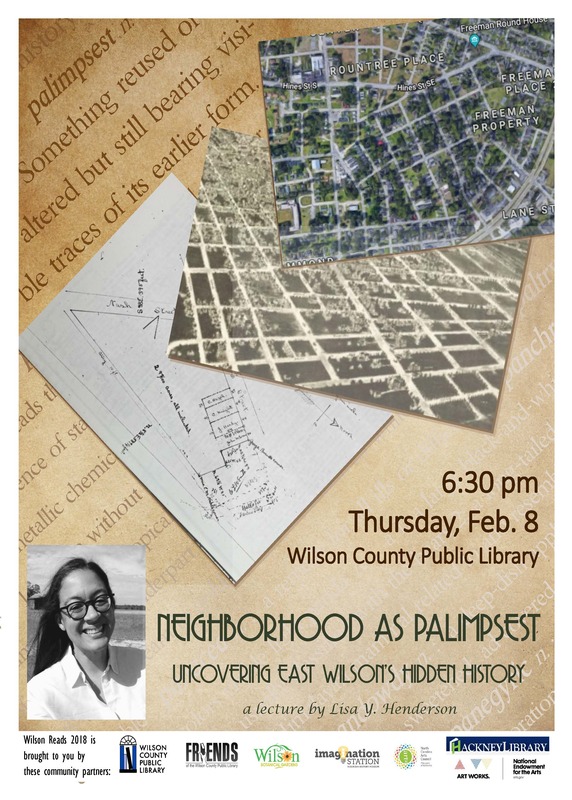 By 1930, this community had contracted to three small duplexes on Lee Street and half-a-dozen around the corner on Pine. 1922 Sanborn fire insurance map, Wilson. 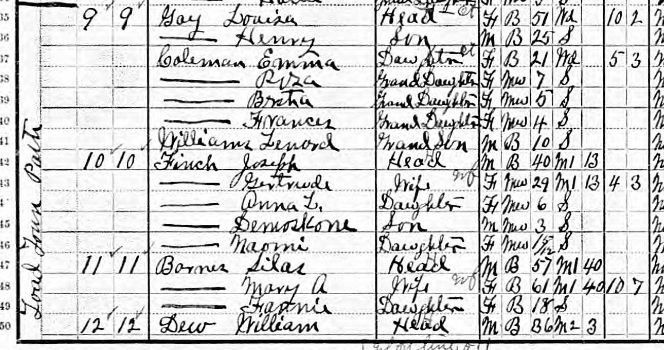 In the 1930 census of Wilson, Wilson County: at 202 Lee Street, paying $16/month rent, Willie Walter, 21, odd jobs laborer; wife Lulu, 15, servant; and roomer Novella Townsend, 25, laundress. Also [in the other half of the duplex], paying $16/month, cook Mamie Nord, 47, and her son Rufus J., 21, odd jobs laborer. At 204 Lee Street, paying $16/month: laundress Lizzie Larry, 49; Maude Lofty, 100; Lizzie’s daughter Anabel Larry, 28, and her sons John H., 12, and M.C., 13. Also, paying $16/month, Jasper Thigpen, 47, transfer truck driver; wife Dora, 33; and daughter Allie, 16. 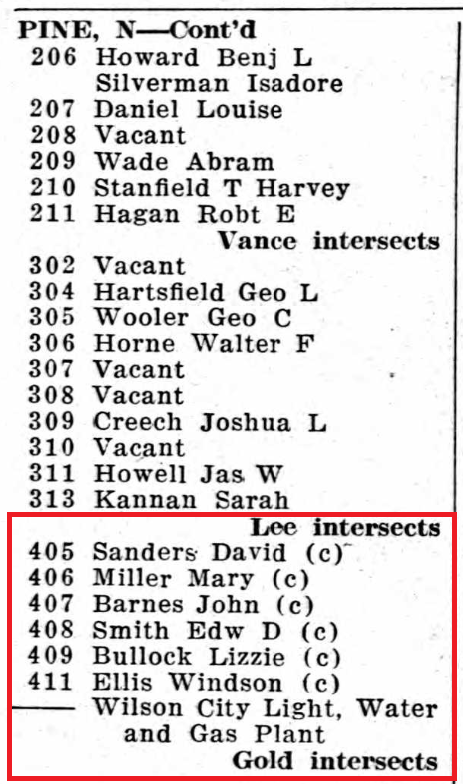 In the 1930 census of Wilson, Wilson County: at 405 Pine Street, paying $10/month rent, Adele Matthews, 42, laundress, and Sarah McMullen, 23, laundress. Also [in the other half of the duplex], paying $10/month, odd jobs laborer David Sanders, 35, and wife Carry, 44, laundress. At 407 Pine Street, paying $12/month: servant Ella Pulley, 30. 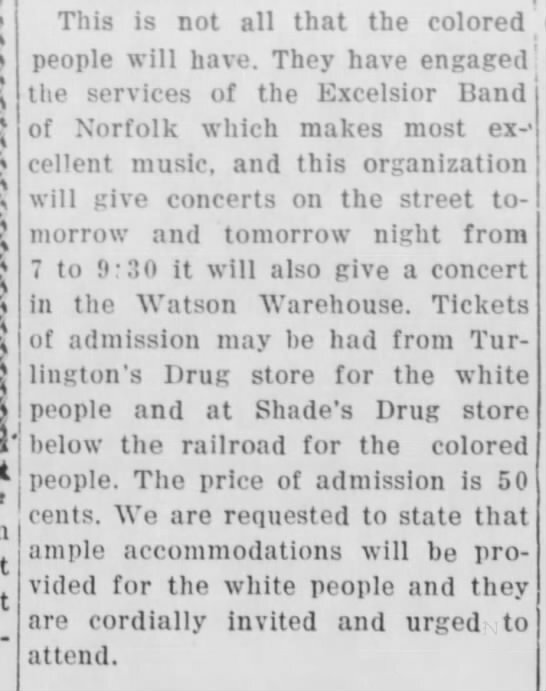 Also, paying $12/month, Egarber Barnes, 24, jail attendant, and wife Nanny, 25, laundress. At 409 Pine Street, paying $12/month, practical nurse Lizzie Bullock, 70; and children Ernest, 43, house painter, Obert, 33, hotel cook, and Gertrude, 35, laundress. Also, paying $12/month, truck gardener Charlie Moye, 29, and Edward Williams, 53, farm laborer. At 411 Pine Street, paying $10/month, greenhouse gardener Windsor Ellis, 41; wife Rachel, 34; and children dry goods store janitor Douglas, 20, John H., 10, and Elaine, 5; and lodger Fred Moye, 26, café cook. In 1930, the east and west ends of South Street were largely home to commercial and industrial outfits. The middle block, however, the 300s, housed in uncomfortably close quarters a stone cuttery, a couple of black families, the black Episcopal church, and a notorious whorehouse. 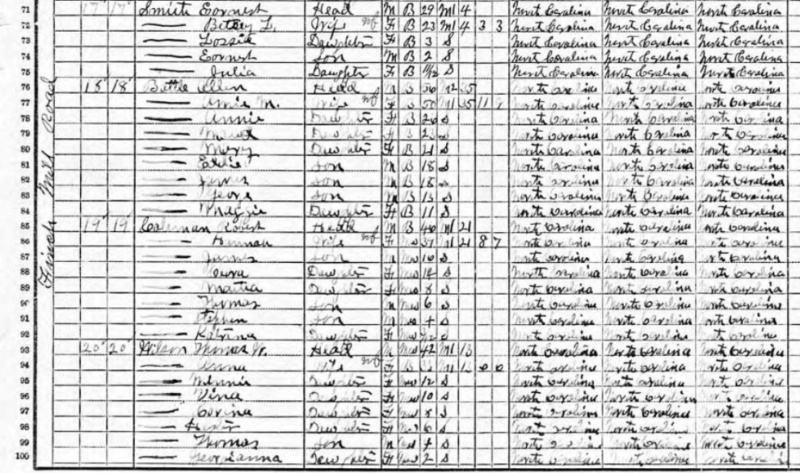 In the 1930 census of Wilson, Wilson County: at 304 East South Street, high school janitor Joseph Battle, 80; wife Gertrude, 42; and daughter Clara, 22; and five boarders, Earnest Heath, 24, cook; James Pettiford, 36, barber; Robert McNeal, 23, servant; Essie M. Anderson, 18, servant; and Viola McLean, 24, “sick.” At 306 East South: tobacco factory laborer William Barnes, 28; wife Loretta H., 23; and brother Charles Barnes, 22, servant. At 309 East South, widow Mattie H. Paul, no occupation. 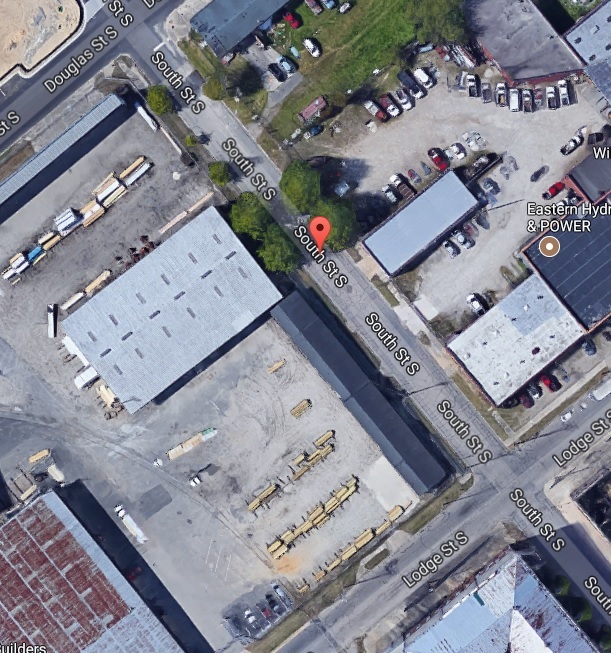 Most of Wilson’s tobacco warehouses succumbed to arson in the final decade and a half of the last century, and the 300 block of South Street is entirely industrial. 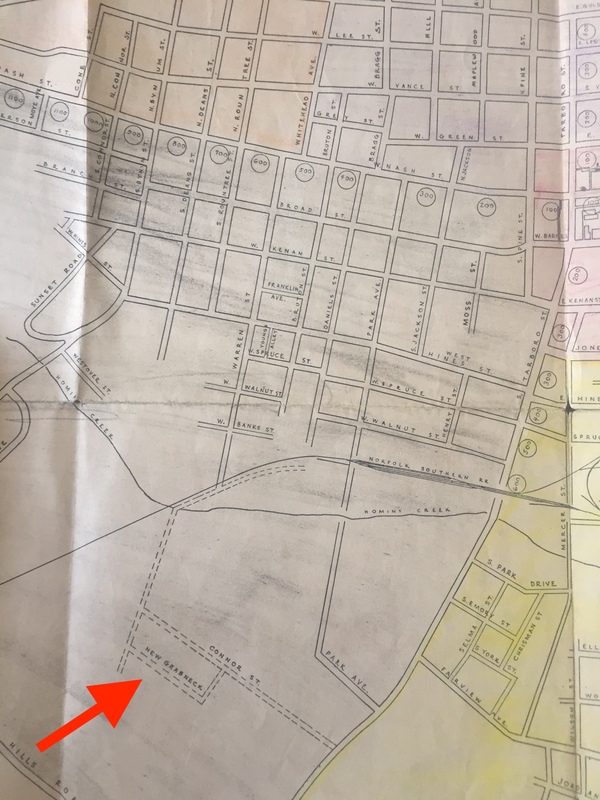 This entire street is gone, cleared for the extension of Hines Street over the railroad tracks (via Carl B. Renfro Bridge) to connect with Nash Street a few blocks west of highway 301 as roughly shown below.